As much as we may like this to be real, it is not. Rather, it is a poorly translated excerpt from a play, ‘Tesla: Or Customisation of an Angel’ (meaning, “customisation of” Tesla) by Stevan Pešić, a Serbian playwright. Although I understand that people are hungry for Tesla’s wisdom on spirituality (his relationship with Swami Vivekananda attests to this), I am dismayed that so many people, and supposedly credible sites, have not seen it reasonable to check their sources. The interview text was appropriated and misrepresented by someone who wanted to feed on people’s hopes and adoration of the genius that Tesla was. Unethical, and against the law, given that the original is copyrighted material. The play started out as a radio drama in Serbia. It became very popular and was made into a theatre play, first performed in Belgrade in 1995. Since then, the play has been performed 270 times (as at writing this article) at the National Theatre in Belgrade, as well as on tour in the cities of Serbia and abroad. In 2014, the play was made into a film twice—In 2001 by director Slobodana Ž. Jovanović, and by Dušan Mihailović in 2014, both of which aired on RTV NS. The creative liberty of the play takes this ‘interview’ way beyond facts, and the many inconsistencies attest to that. For instance, Einstein was only 20 years old during this supposed interview. His Theory of Relativity didn’t begin development until 1905, and he published his theory of general relativity in 1915. Tesla didn’t begin criticising the theory until later in his life. The word “radar” was not coined until the late 1930s. Black holes were not yet dreamt of. Mark Twain had not yet completed the ‘Mysterious Stranger’. Also, Tesla did not meet and care for his beloved pigeon until far later in his years. And there has never existed a publication called ‘Immortality’ in Colorado, in the US—the title was chosen as a symbol of Tesla’s legacy. Oh, and Tesla was not on his death bed in 1899—He died in 1943. This story, as poignant as it is, does not represent the truth. It’s a philosophical fairy-tale of man and hope, of the soul, the light, and the universe. Sadly, misrepresentation/misquotation seems to be the way of the internet. Ironically, this blind perpetuation not only discredits the message but serves to diminish, in this instance, the genius of Nikola Tesla by reducing him to a New Age Guru. Tesla was so much more than that. An actual interview with Nikola Tesla with Samuel Cohen, published in the Electrical Experimenter in June 1915. Vol. III Whole No. 26, continued on pages 39 & 45. © 2016 Lilyana Millutin, All rights reserved. Reprinted here under the Creative Commons License by which the author grants permission to copy, distribute and transmit this particular work under the conditions that use be non-commercial, that the work be used in its entirety word for word, and not altered in any way, or added to, not subtracted from, and that it carry the author’s name, link to the original article, and this full copyright notice. For other Permissions contact the copyright holder. Lilyana Millutin is an Australian screenwriter and author. Be social with Lilyana on Twitter or on Facebook. This (cc) video was created by EndFear for the Freedom Informant Network, a collaborative effort of a vast and diverse group who have found themselves possessing knowledge to share with the world. FIN is here to help those who seek true freedom find the answers they are searching for by creating an open medium of information. Many of us have dedicated much of our time to extensive research into many different areas. Please share this video and help spread the word about the network and help as we grow the community together! There really isn’t much reason to beat around the bush, I imagine. By now you have noticed the manipulation and bias within the media. You’ve watched as your government has sold you down the river. Corporations have buried their money into your politics and now influence the decisions of your government. The banks continue to grow more ruthless and unethical in their practices. All in the name of profit. Your future, your children’s future… it means nothing to them. The only desired outcome is maximum profit, obtained with the least possible expense. And whether you want to admit it to yourself or not, you already know this. world coursing with greed, intoxicated on monetary gain and material conquest? Why have we allowed this? Ladies and gentlemen, these are questions you should be asking yourselves. The world around us has been manipulated, coerced in a direction where human life is outweighed by profit. 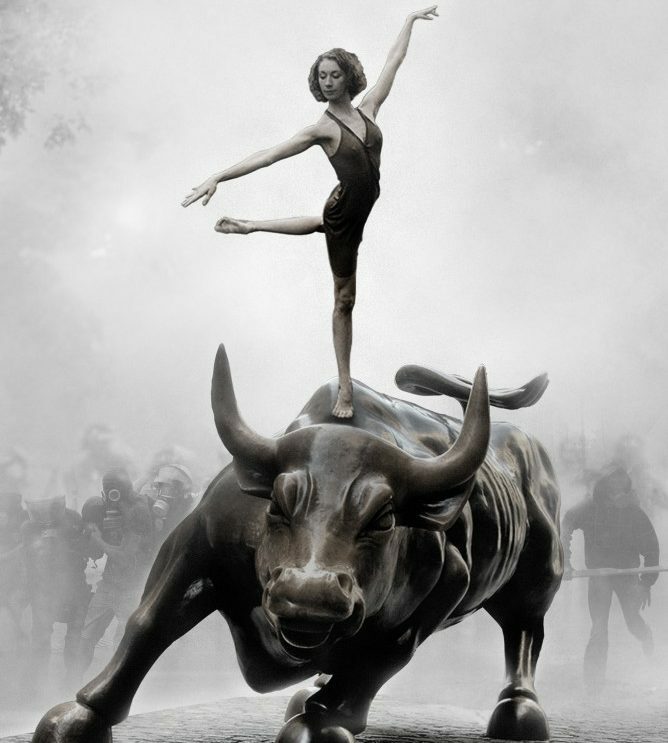 Corporations and bankers now influence the policies, regulations, and even the decisions made by our own governments who have sold us down the river. They took our dreams. Our futures. They took them from you. From all of us. And in their own arrogant, condescending fashion they expect you to roll over and accept it. They pass into law further restrictions on your personal rights and freedoms. They want to shut you up! Keep you quiet! Keep you alone and all of us divided. Marketing has you chasing an image, telling you what you need to do, what to think and say, how to feel, how to dress. How to be you. Who are you? Do you even know? Can you honestly tell me that you are happy with life as it is defined for you? Open your eyes! It’s all out there in front of you. Stop trusting these crooked politicians. They don’t care about you! The will of the people is not a profitable investment. All the while you chase the dream life they created for you, waving it in front of your face like a carrot on a stick. Stop it! Stop being guided through life! We need to quit letting the decisions of a few control the lives of the many. We need to take our future, our children’s future, back into our hands. When did we become so careless? So wreckless, apathetic and submissive? When did we lose our connection with others, with community and family? Stop focusing on our differences and start acknowledging and building upon our common grounds. Start sharing, connecting, teaching one another and learning from each other as well. Build our bond as human beings. Find your strength in unity. Find your voice, and then let it be heard. Because my friends, what you have to say does matter. We just need to get off our knees, stand on our own two feet, and remind them just how much we do matter! Become the change that you want to see. Build the future together! A decent future. A future where life is cherished, rather than spent worshipping money. Where justice, fairness and liberty is doctrine. A world invested in education, ingenuity and creativity rather than war and conquest. Rid yourself of your cynicism, your ego, your fear. Instead open your hearts, your minds and your eyes. Broaden your horizons. Respect others for their own opinions, just as you can expect the same in return. It’s time to change our ways. To evolve and break free of this vicious cycle. It’s time to educate ourselves on the issues affecting us and to work together to create progressive, effective solutions. CROWDSOURCING: Formed by gathering or collecting; gathered into a mass, sum, or body; congregated or aggregated; as, the collective body of a nation. The inherent intelligence of swarms has inspired many social and political philosophers, in that the collective movements of an aggregate often derive from independent decision making on the part of a single individual. A common example is how the unaided decision of a person in a crowd to start clapping will often encourage others to follow suit, culminating in widespread applause. Such knowledge, an individualist advocate might argue, should encourage individual decision making (however mundane) as an effective tool in bringing about widespread social change. 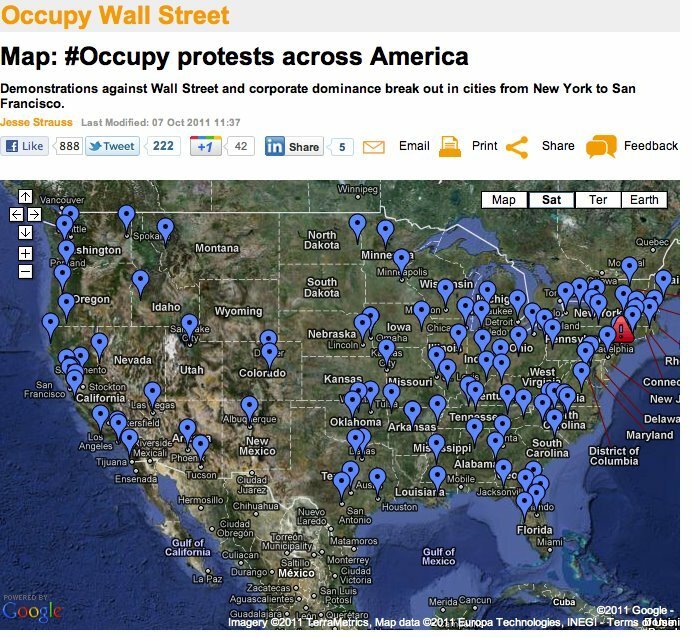 Supposedly the “Occupy” movement isn’t a big deal – 152 million images say different!